Full screen modes now work again. Support for the Turbo R (MSX View, Illusion City etc work perfectly) Many thanks to Jirou Kaneda and Albert Beevendorp for this. Timing isn't good yet, the emulated R800 is too fast The configuration in this zip file is an incomplete but working Turbo R, if you want the full completion then download it from the Plugins on the site. a segmentation fault in the nmk driver "sometimes". This version also has the "Record to wav" function in "Sound options" but it's still work in progress, so don't complain about it ! FakeNES 0.2.0 - FakeNES is a portable, Open Source NES emulator which is written mostly in C, using the excellent Allegro library for cross-platform capabilities. - I've significantly improved the paths dialog, relative paths now work. - Improved handling of a failed rom load. - Fixed the flickering graphics problems by implementing a cheap hack. - Added a hack to improve the "Ogre Battle" background colour. - Incorporated an optimiser for flash data to reduce the size for some games. Flash files from v0.53 are 100% compatible. - Some minor improvements to the emulation core. Fixed Garou missing animations (esp. some Grant moves). Select button should be working in all games now (not only garou). DOSBox 0.50 - DOSBox, an open-sourced emulator of an x86 PC with DOS, for Windows and Linux, has been updated to 0.50. This version includes the addition of F3 to repeat the last typed command, the possibility to change the dosshell, a changed CPU core, addition of real 386 mode instructions, and many more changes. Arcade Flyers News - The Arcade Flyers Archive has passed the 3,000 flyers mark! Congratulations to them :) Furthermore, they've also posted new Scramble Bezel artwork, which can be downloaded from this link. * Rewrote partially HLE Bios. * Many fixes to Gte. * Small fixes to Cdrom. * Improved windows Mcd Dialog. * Correct VGS mcd support, also added .gme support. * Fixed mdecs for some games. * Fixed bug in Sio stuff. Attention Linux Gamers! - TransGaming is about to release a new version of their Windows DirectX emulator called WineX. This emulator allows you to play modern windows gaming titles on Linux like Max Payne, Half-Life Counter Strike, Diablo II, Jedi Knight II Jedi Outcast, American McGee's Alice, and more! - New blending effect: Motion blur. -Fps style 3d arcade! Walk around in rooms filled with 3d models. -Grab them and place them anywhere in the room to create your onw layouts! -Skin it! All visible objects have all there parameters exposed. file to use, position, size, rotation, blend etc. You get total control to create a theme that fits your cabinet! -Changed the key remapping to use keycodes, now all special keys can be used. -Each gamelist can now have its own arcade environment. -You can define additional rules which 3d model to show when no model was matched the normal way. For example use the same model for all horizontal games, all driving games etc. when no specific model was found. -Helpscreens can now show bitmaps based on game name. 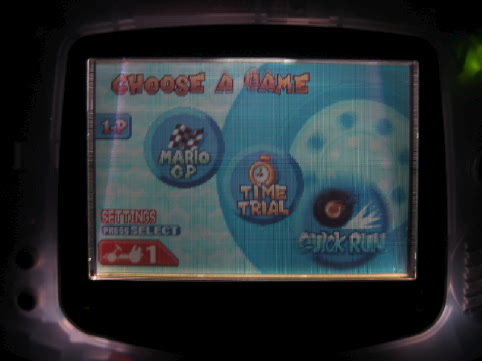 For example to show the cp layout for that game. -Internally translate long file names into short file names before launching a game for emulators that don't like long names. -Changed the cfg files layout to be more hierarchical. I hope this will make setting up the fe a bit more straight forward. -Hide cursor bug finally fixed.